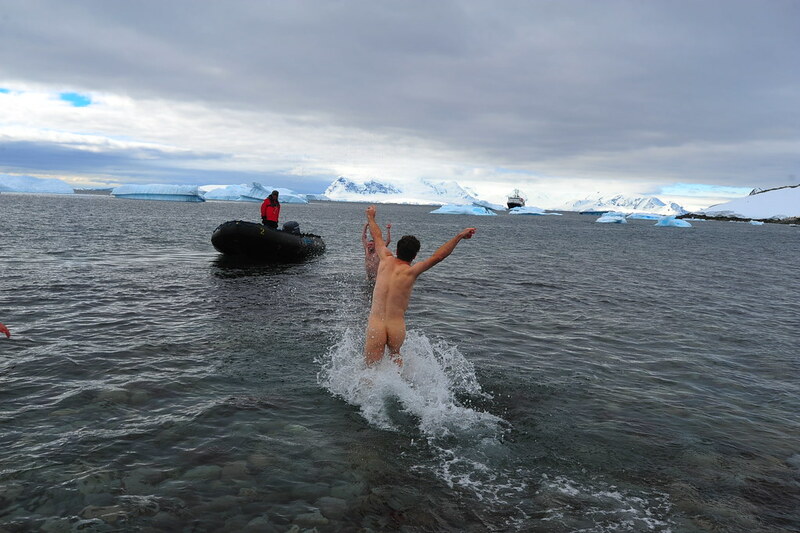 There was no debate: my entire group had overwhelmingly expressed interest in this before our expedition even began. 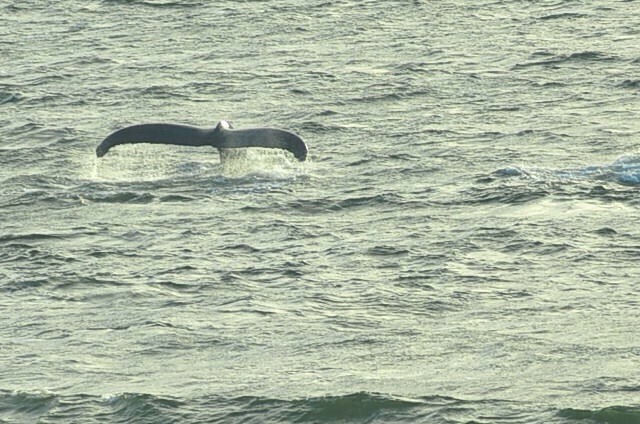 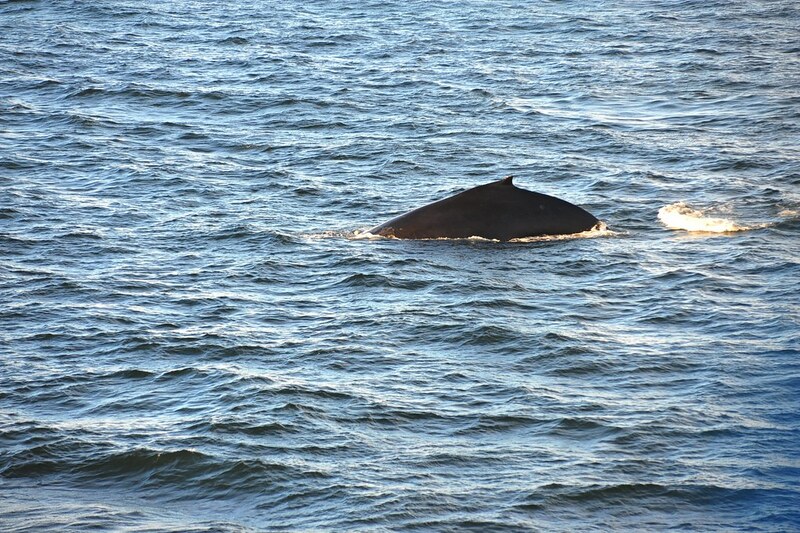 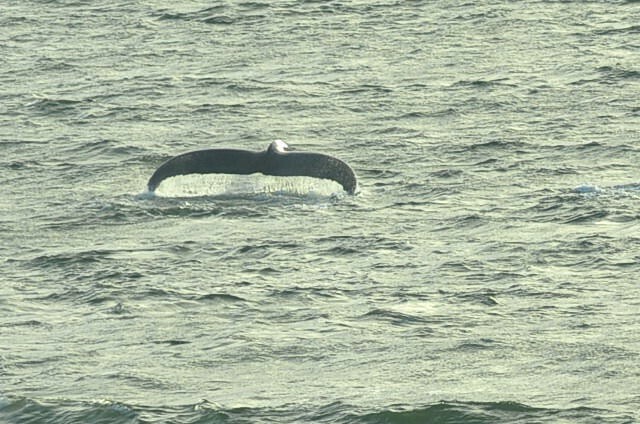 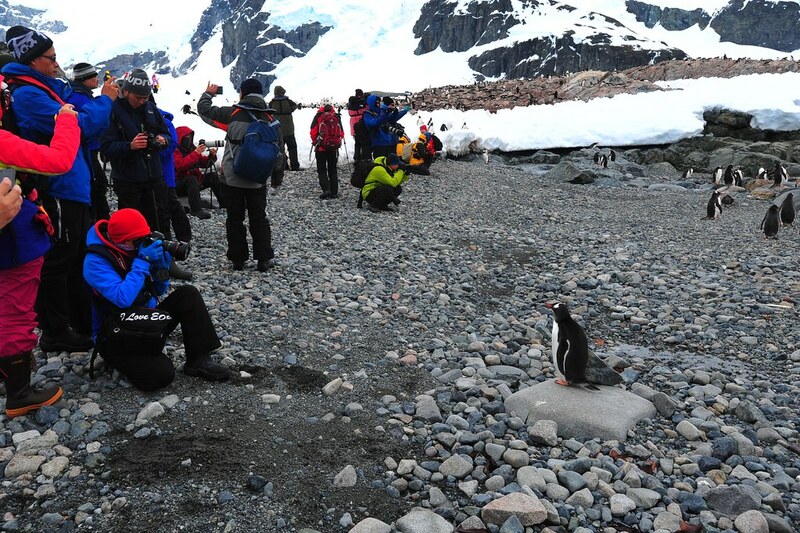 For many, this would be the highlight of our trip. 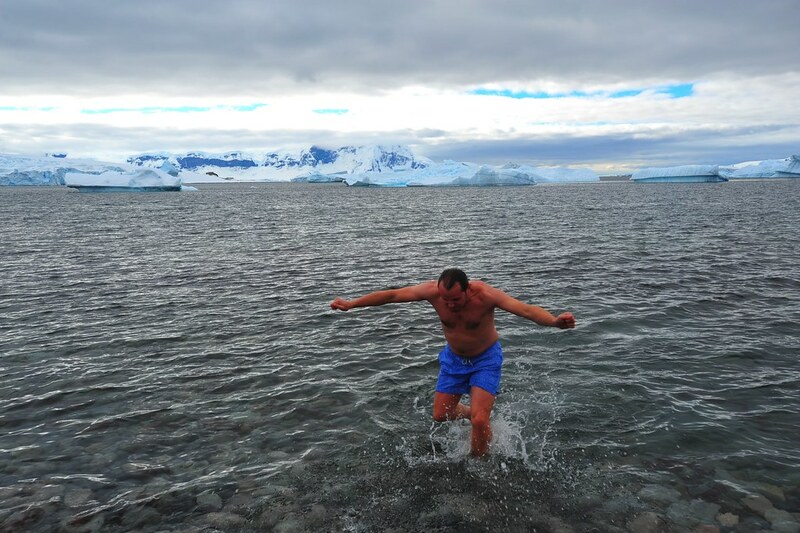 Do you see the penguin to my left also about to take a dive with me? 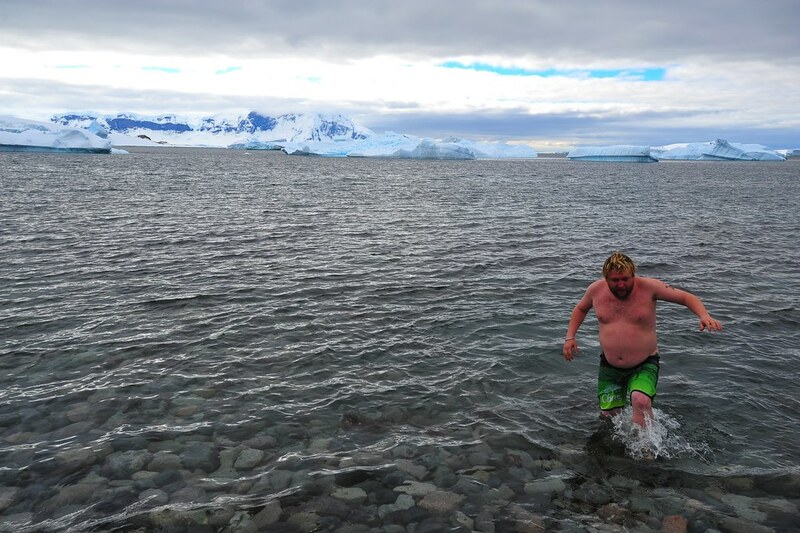 All the way in the water or else it doesn't count! 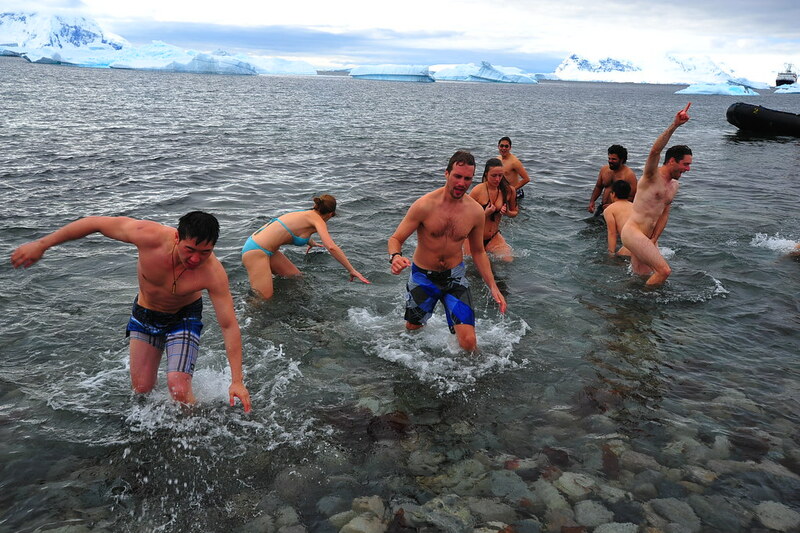 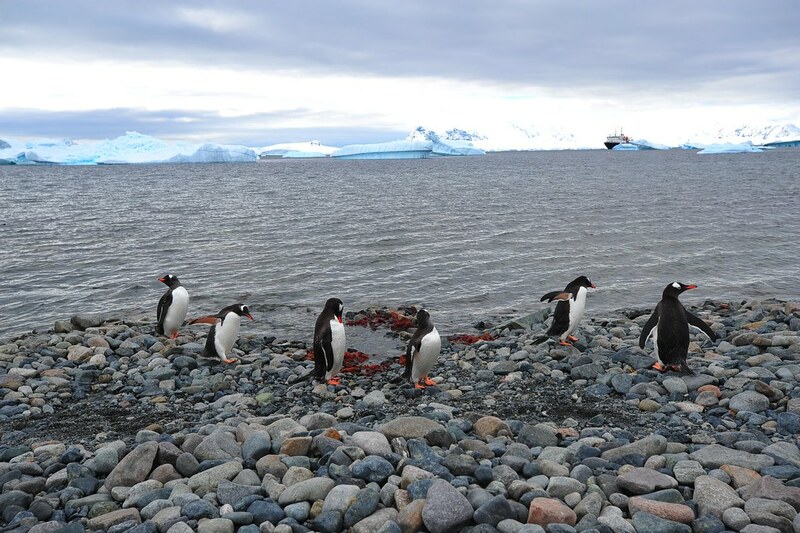 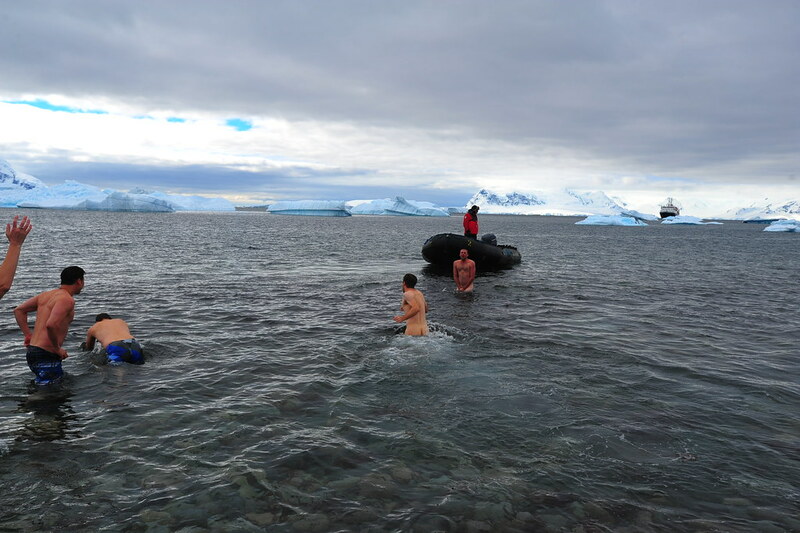 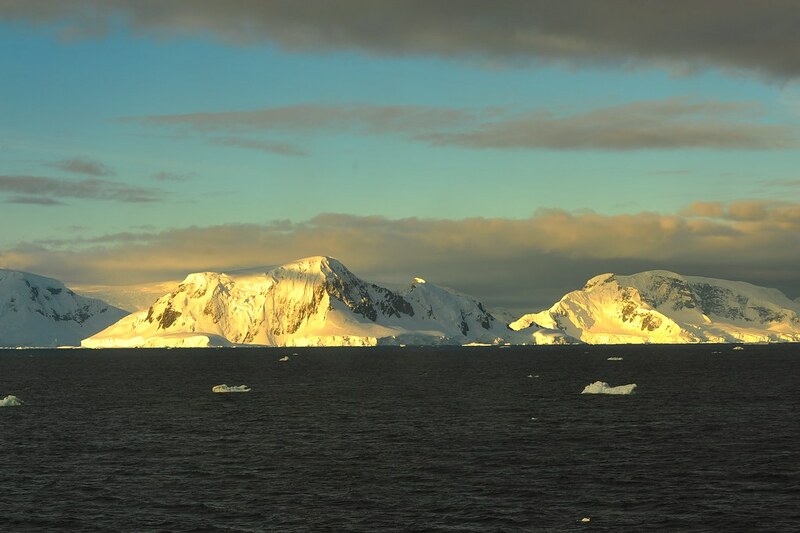 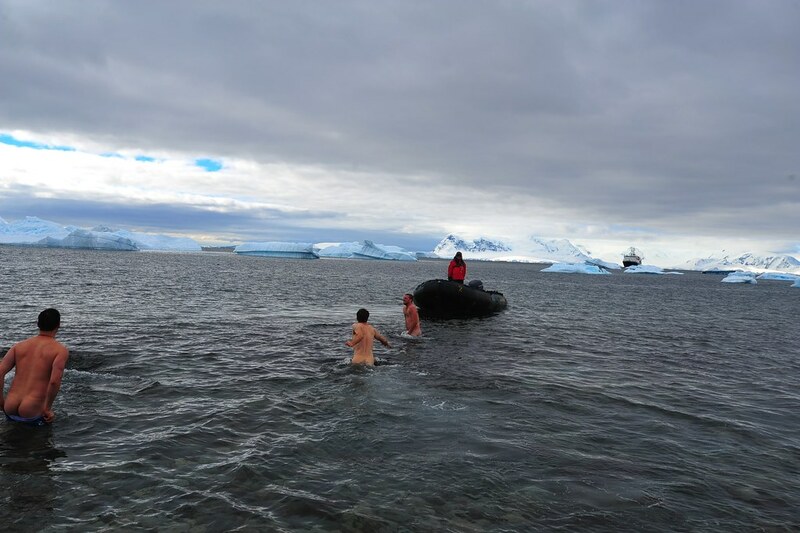 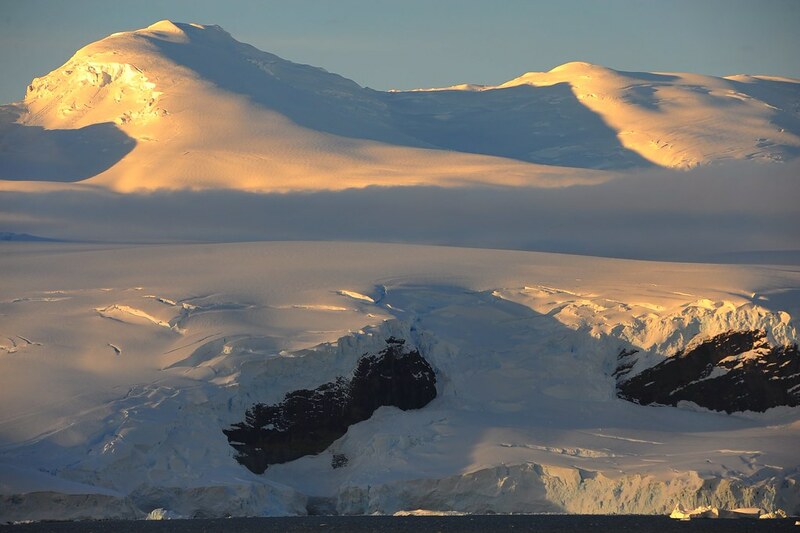 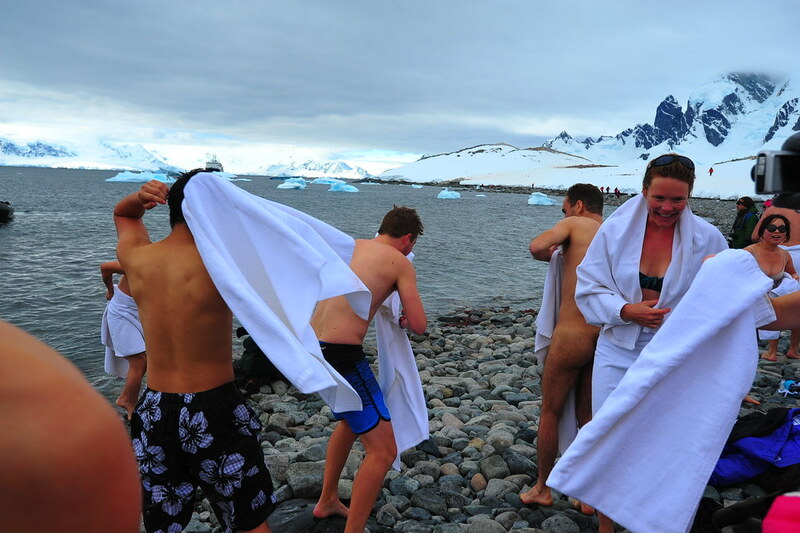 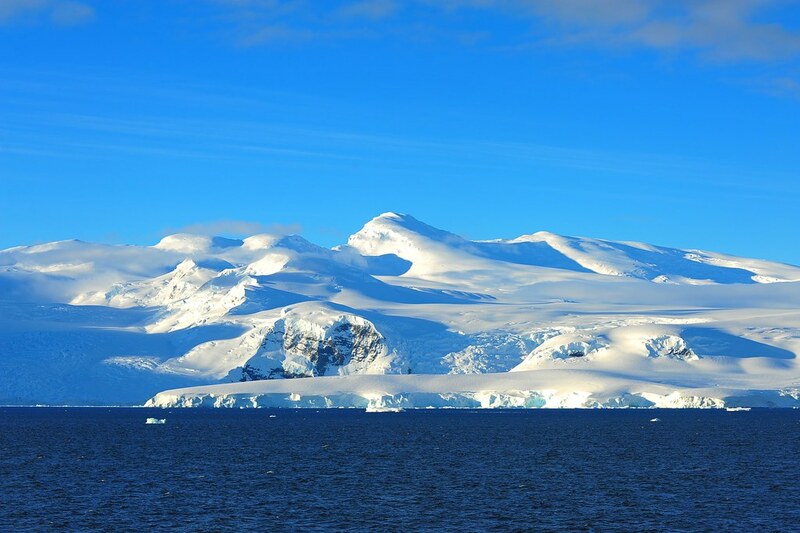 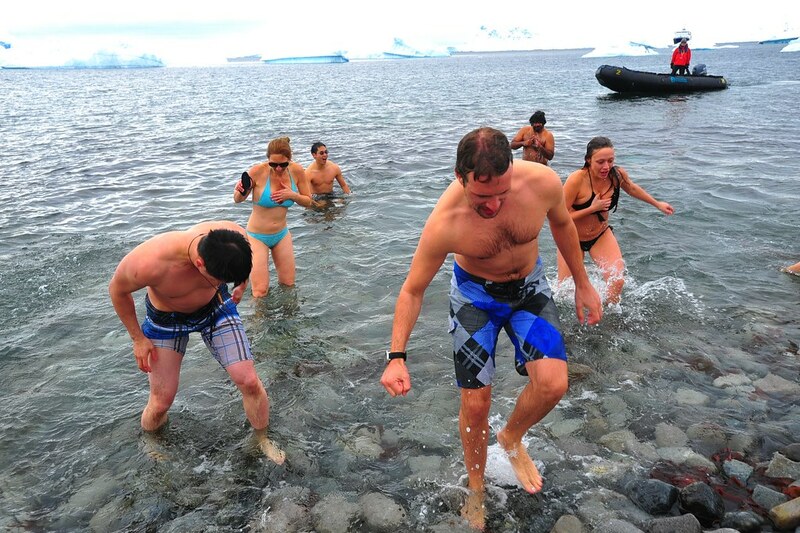 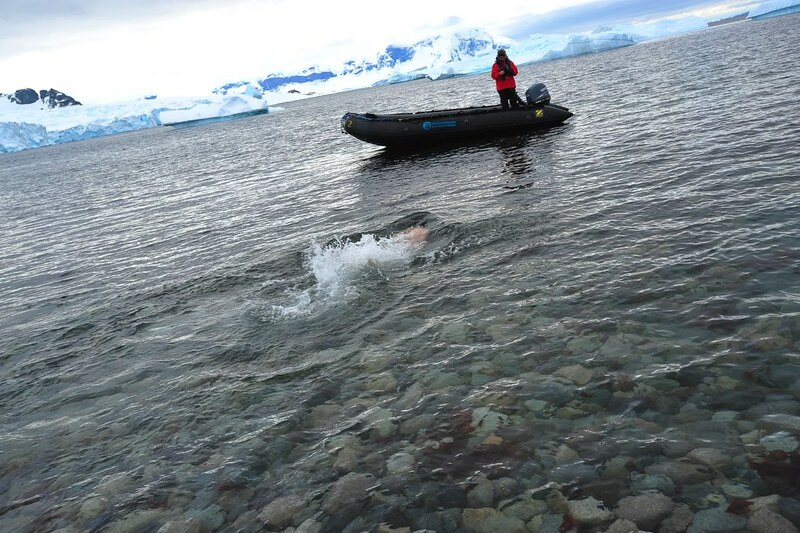 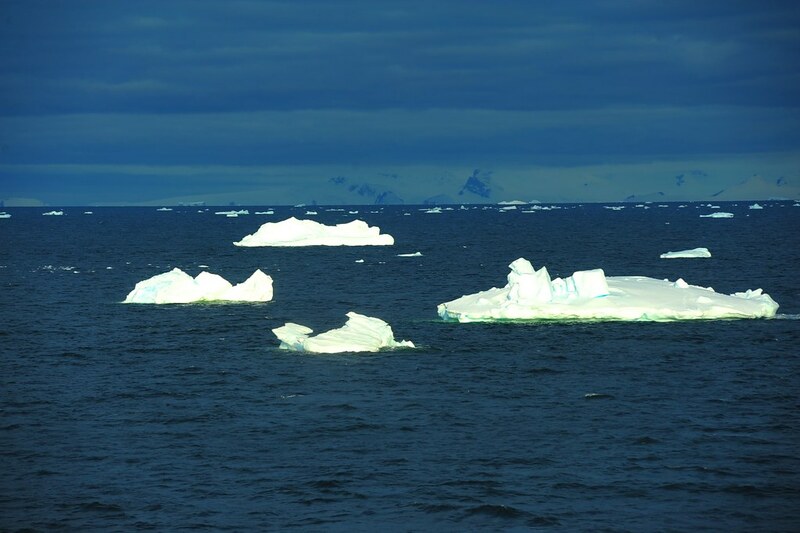 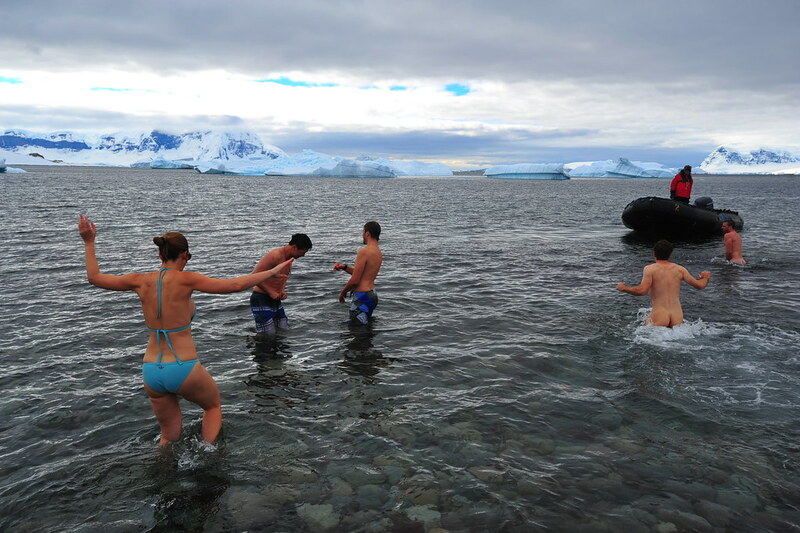 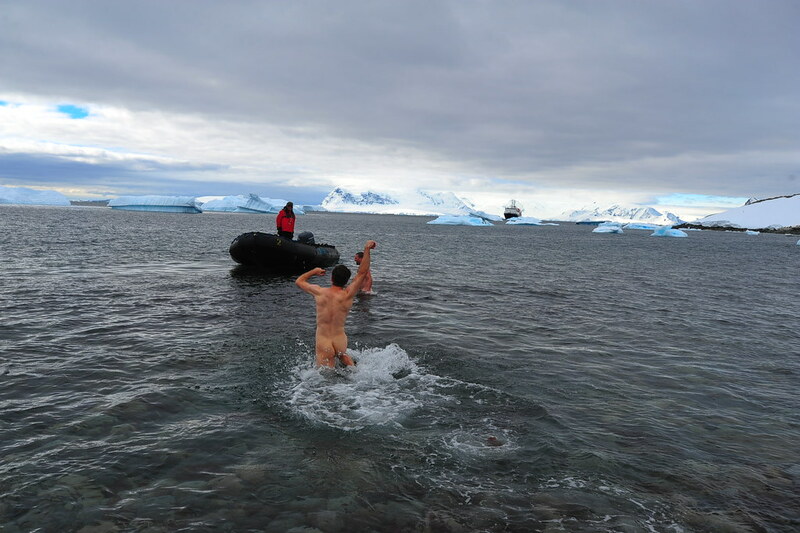 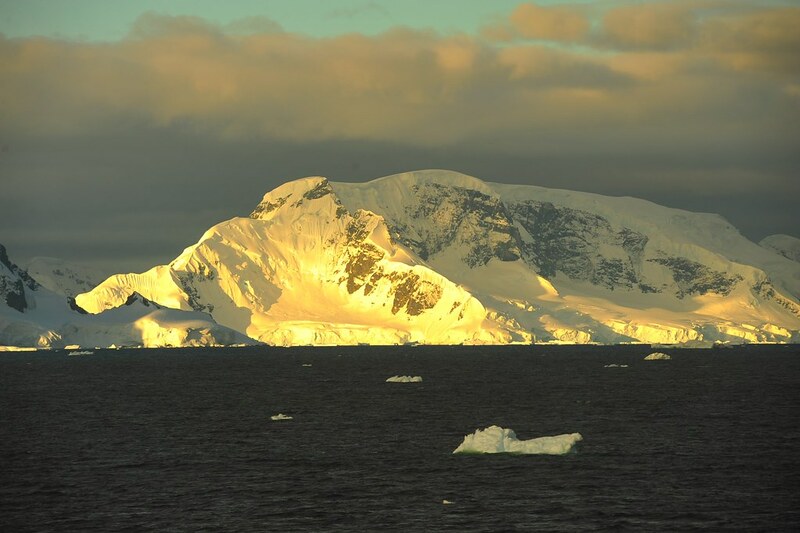 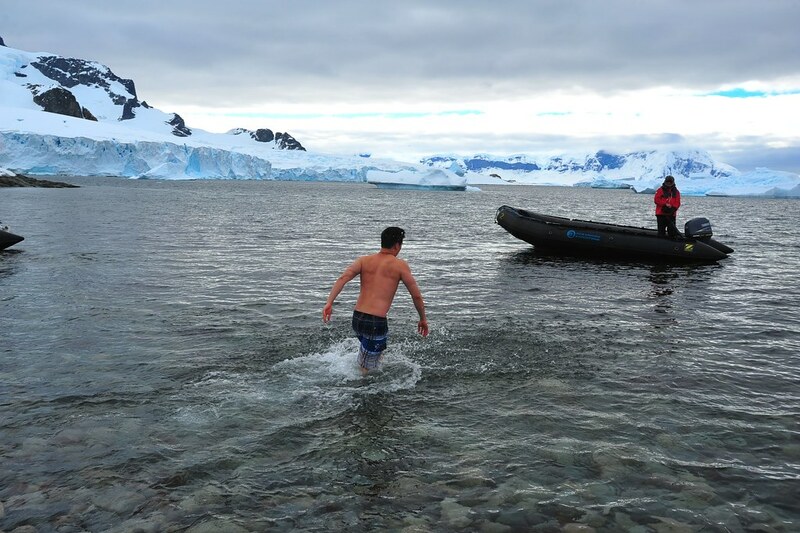 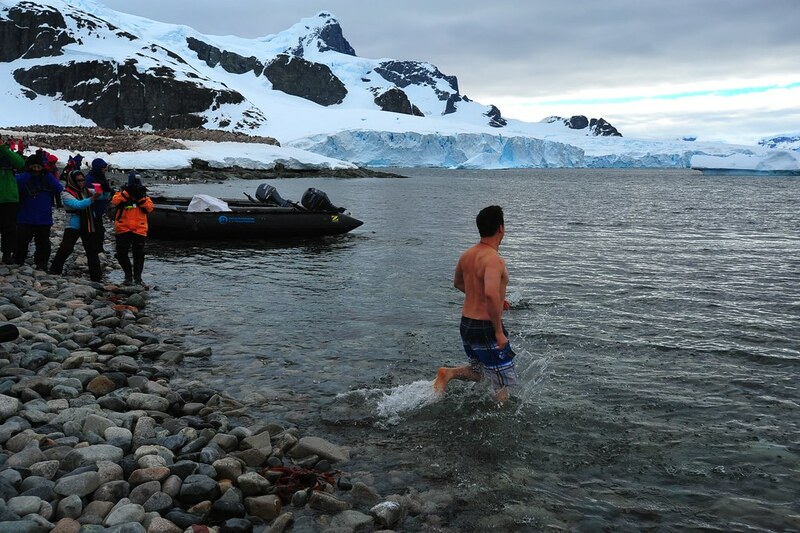 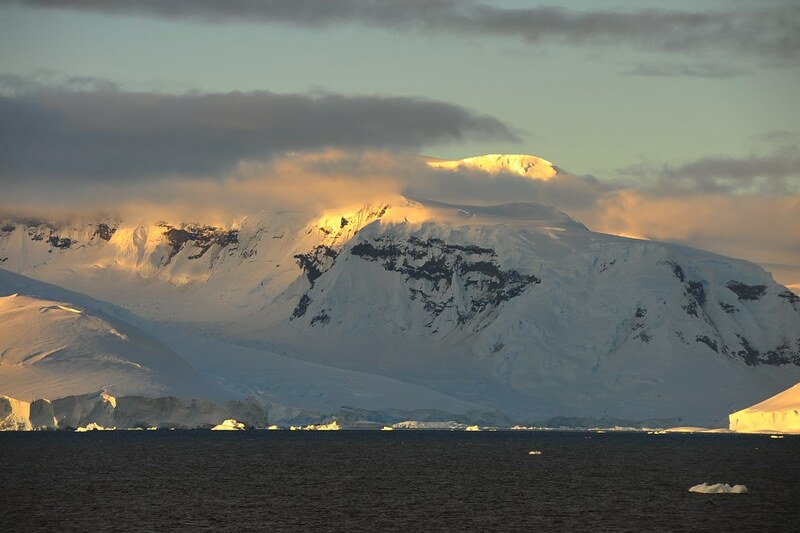 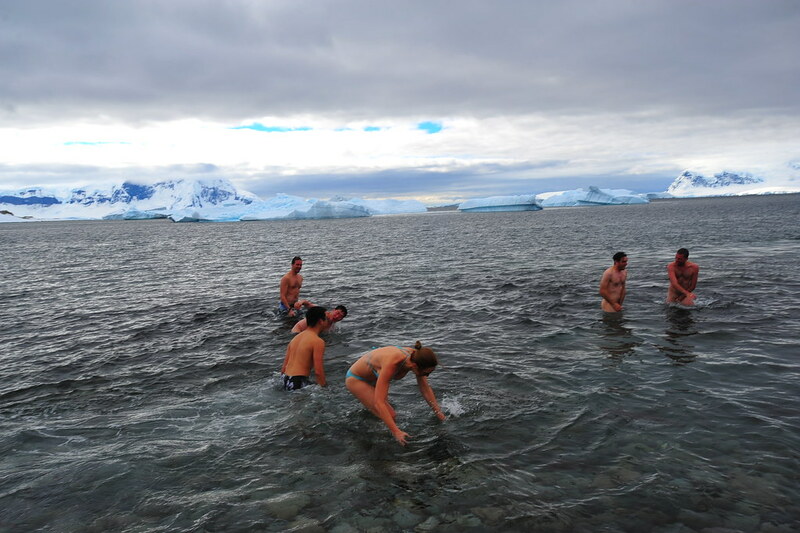 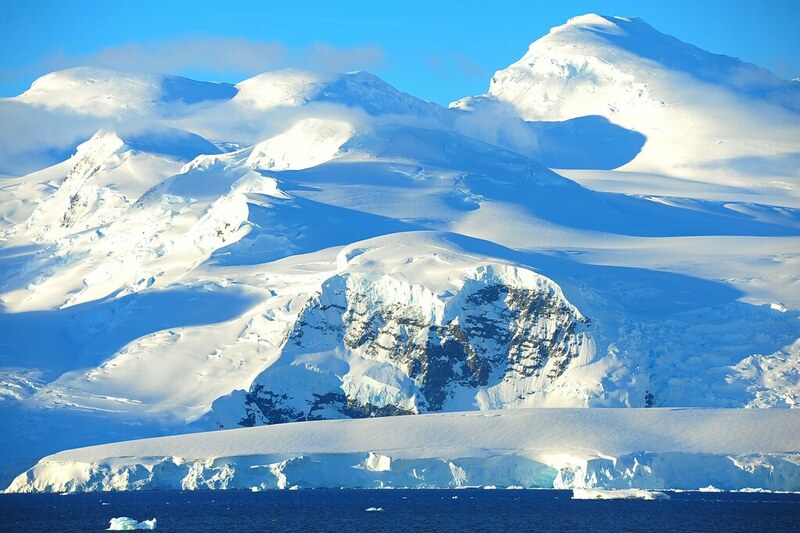 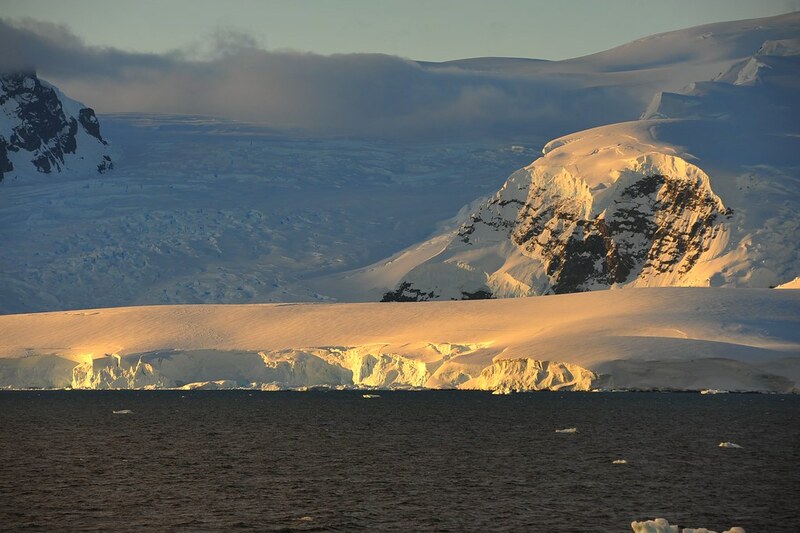 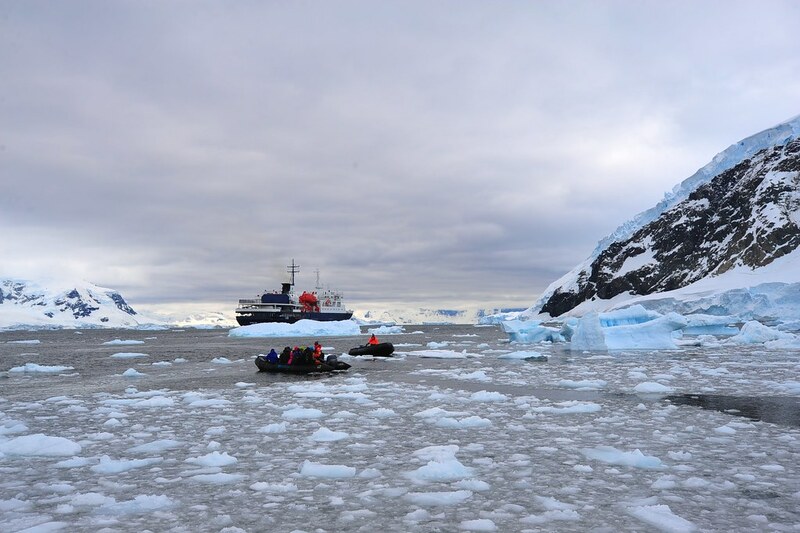 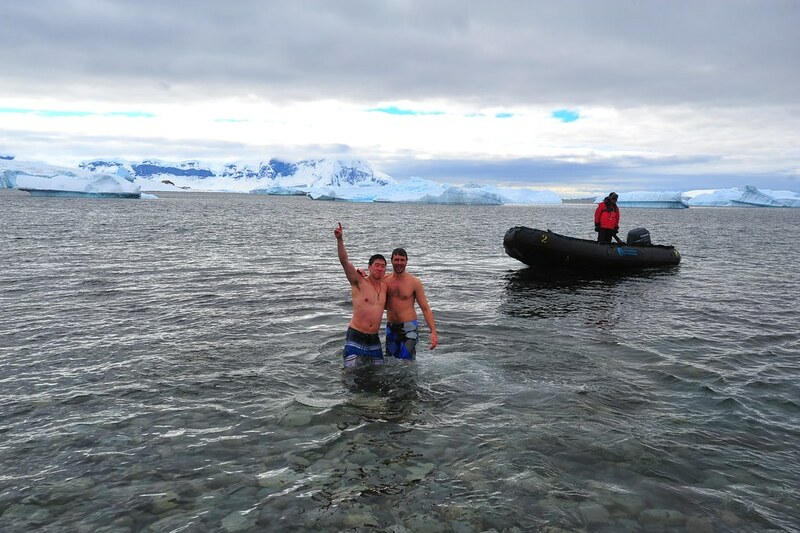 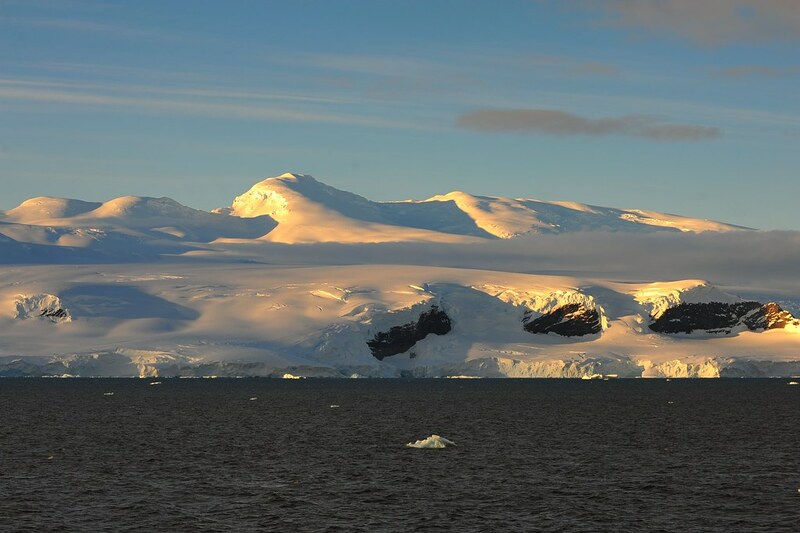 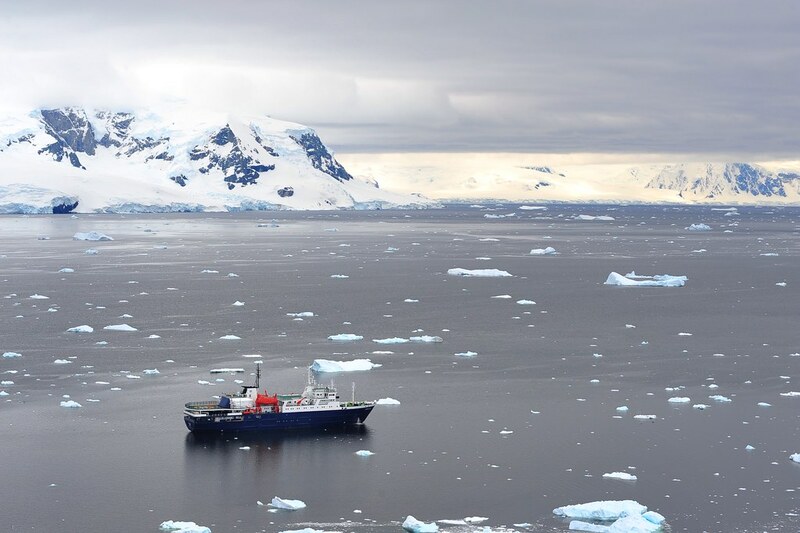 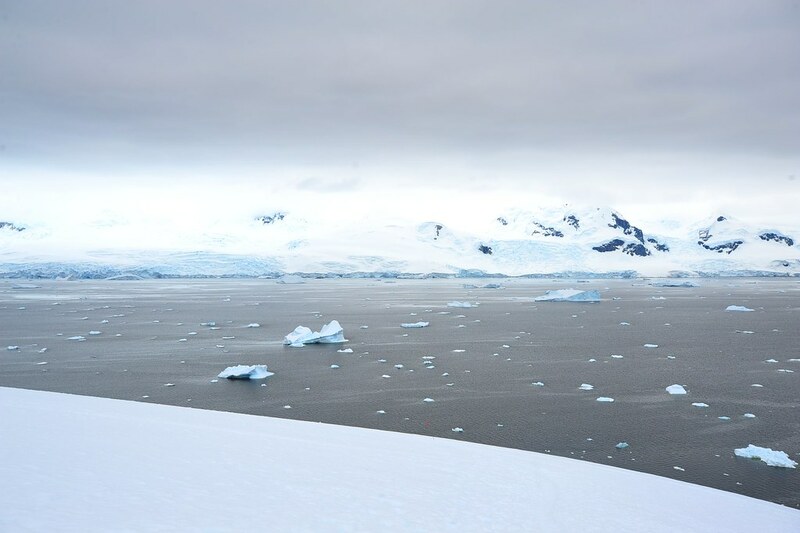 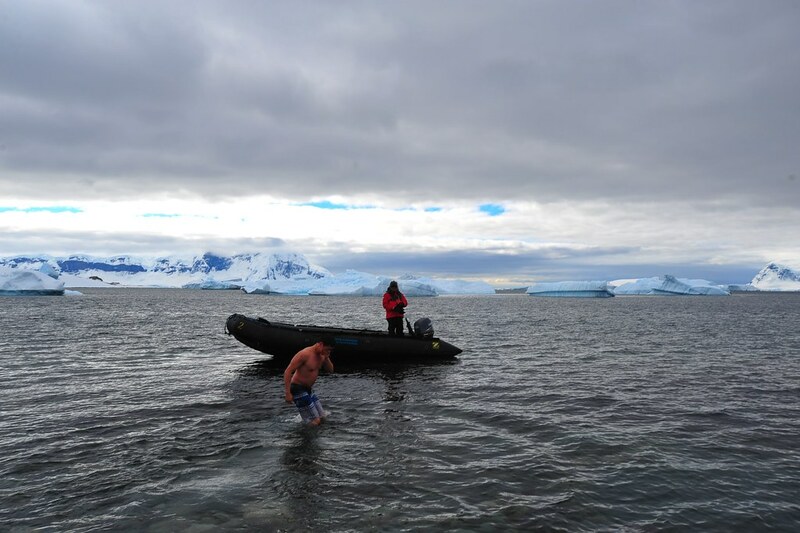 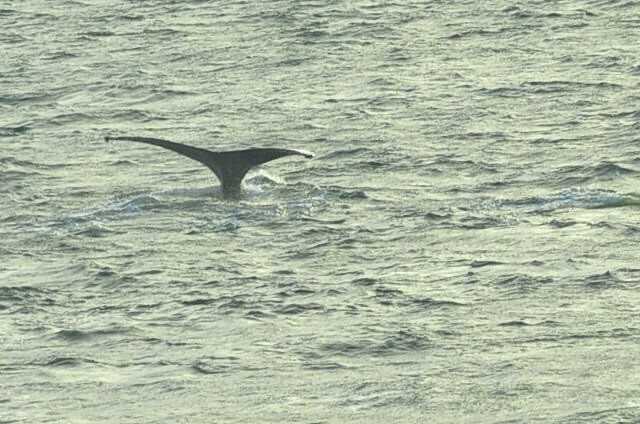 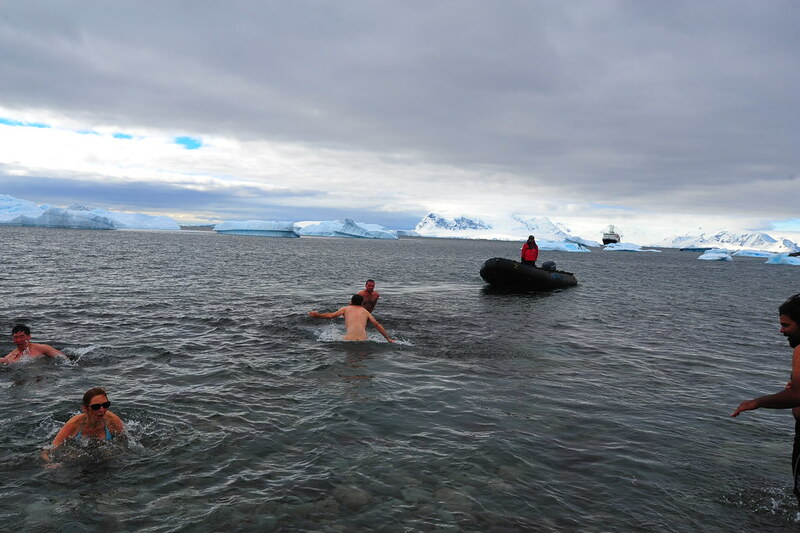 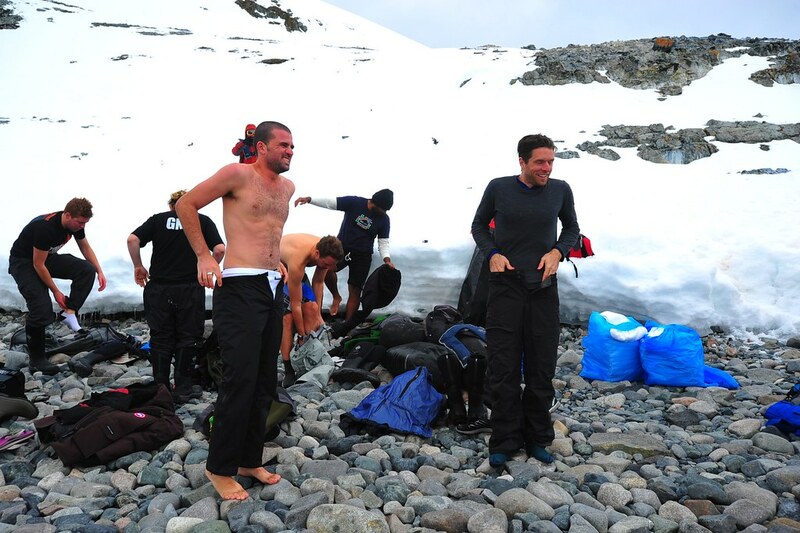 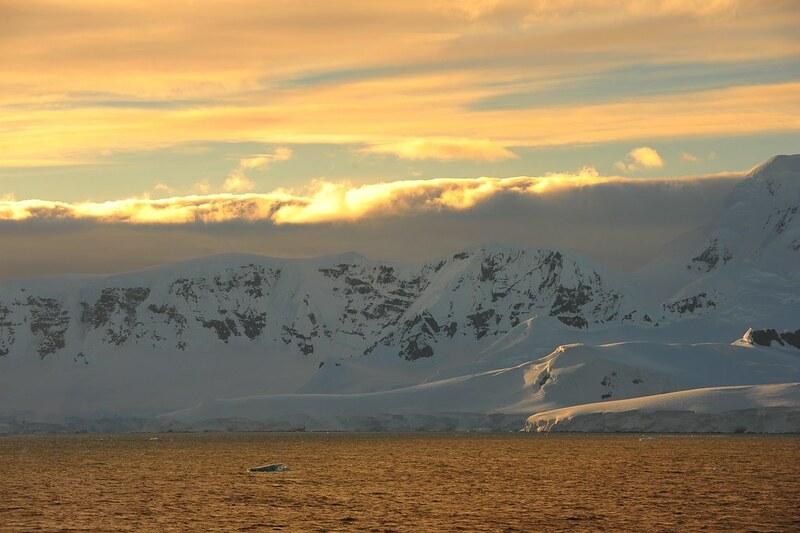 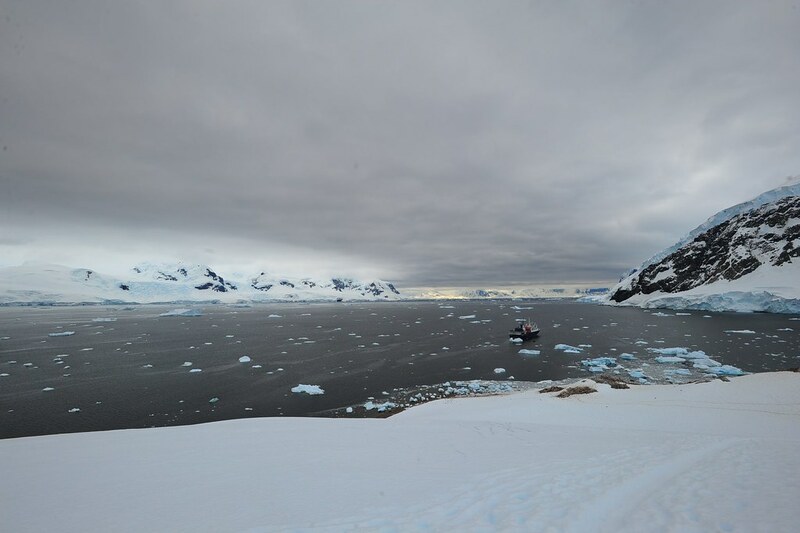 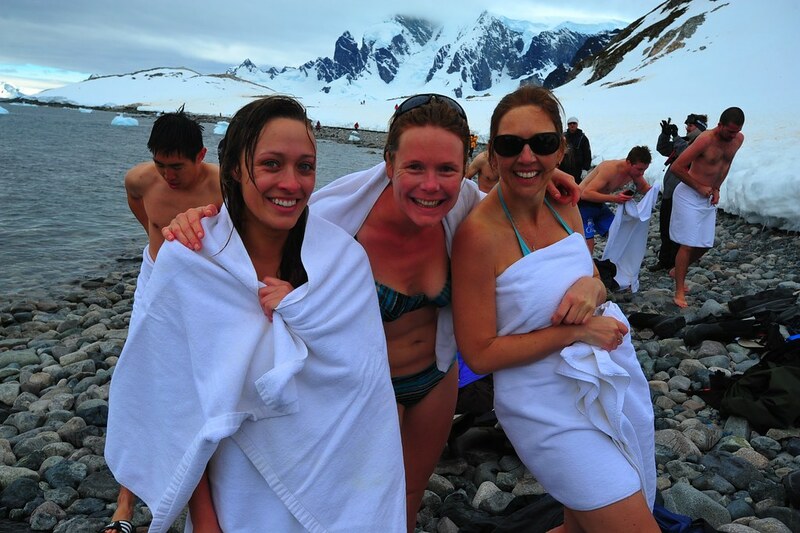 We could only stand a handful of seconds because it felt like our toes were literally going to fall off; the only miserable part of skinny dipping in Antarctica is that your toes immediately lock up and become numb. 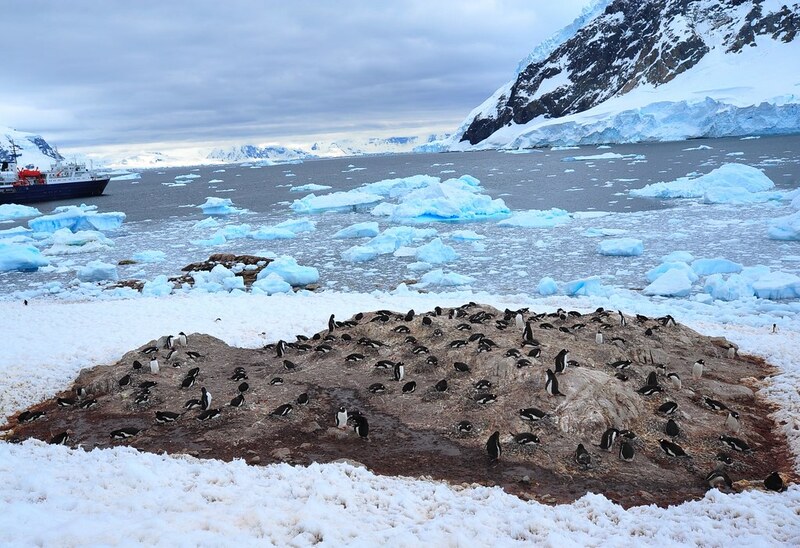 In other words, walking becomes nearly impossible after a few seconds. 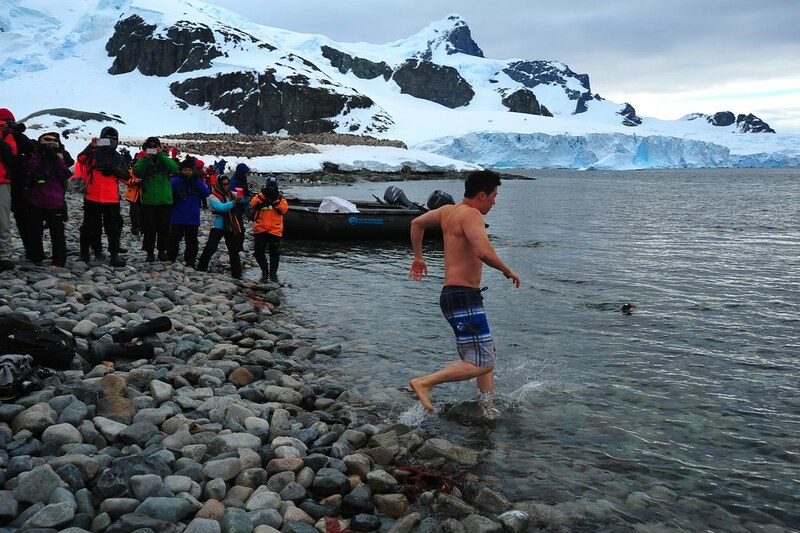 So if you ever find yourself doing the Polar Plunge, we highly recommend that you go in with flip flops or watershoes so you can stay out there for longer. 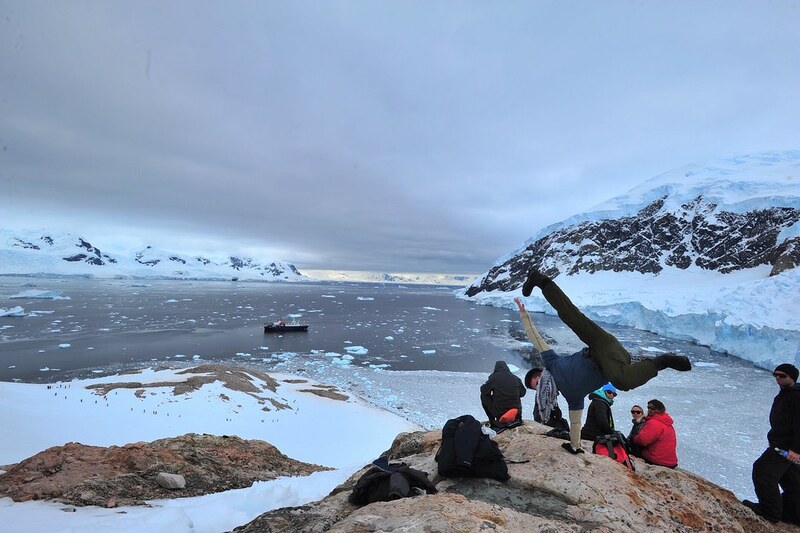 Because it really is a once in a lifetime experience…so relish it all you can.